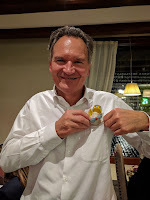 On 4th September, Robert-Jan Smits, the Open Access Envoy of the European Commission, and Marc Schiltz, the President of Science Europe, announced Plan S, a radical new initiative designed to ensure that by 2020 all research papers arising from funding provided by 11 (now 13) European funders are made open access immediately on publication. The plan is based on 10 clear principles but short on detail as to how those principles will be implemented. If successful, however, Plan S could have a dramatic impact on both publishers and researchers. For instance, reported Nature, as written the 10 principles could see European researchers barred from publishing in 85% of journals, including influential titles such as Nature and Science. The ‘S’ in Plan S can stand for ‘science, speed, solution, shock’, Smits told Nature. Shock would certainly seem to be an appropriate word, and shock was surely what publishers felt when Plan S was announced. After all, they have successfully managed to delay and subvert open access for some 25 years now. They perhaps assumed they could continue doing so. But if successful, Plan S could bring this dilly-dallying to a dramatic end. Alternatively, Plan S could fail to achieve its objectives. That publishers do not like Plan S is, of course, no surprise. That was doubtless what the architects of the initiative anticipated. What they perhaps did not anticipate was that they would face pushback from researchers. Yet just a week after the announcement nine researchers published a critical article entitled, A Response to Plan-S from Academic Researchers: Unethical, Too Risky! This appears to have shocked the Plan S architects as thoroughly as their plan must have shocked publishers. Smits immediately summoned two of the authors to Brussels, and Schiltz took to Twitter to suggest that the article was “slanderous”. [See comment below for more on this]. Since then there has been a torrent of commentary and critique of Plan S, and the initiative is proving uncomfortably divisive. While publishers (and at least some researchers) are appalled by Plan S, open access advocates, as could be expected, have welcomed the initiative. The problem right now, however, is that there is too little information on how Plan S would work in practice. This means it is nigh impossible for informed commentary to take place, and we are seeing frequent calls for clarification. On 12th September, therefore, I invited Smits to do an interview with me, in the hope that he could provide that clarification. I suggested we do this either by telephone or email. Smits agreed and said he would prefer to do it by email. So, I emailed him a list of questions and waited for his replies. These arrived on Monday this week. I have to confess to being disappointed on reading them. From my perspective, they do not provide the clarification I was hoping they would. I accept that my questions are long and somewhat sceptical (some might say tendentious) but, as I saw it, they offered Smits a chance to dispel some of the confusion around Plan S and to demonstrate that my scepticism is misplaced. I didn’t feel he did either. When I shared my disappointment with Smits he expressed surprise and replied, “I looked once more to the replies I sent to your questions and remain of the opinion that they address the issues you put forward.” He added that he is getting over 300 emails a day and tries to reply to each one – signalling that time is in short supply for him. I am, of course, entirely sympathetic to the challenge Smits faces with Plan S, and the huge demand it must be making on his time. Nevertheless, there is a great deal of confusion out there, and on reading his replies I could not help but feel he had missed an opportunity to clarify matters. This seemed the more striking given his assurance to me that, “my door is open to anyone who wants to drop by to discuss Open Access and Plan S”. He added that he prefers a ‘face to face’ approach to using email. Perhaps it might have helped, I thought, if he had taken up my offer of a telephone interview – or even a face to face on Skype. Presumably, it is only after publishers have done this that cOAlition S expects to publish the implementation plan that Smits talks about below. And while he says he is happy to discuss Plan S with “all interested groups”, Smits insists that cOAlition S will “stand by the principles set out in Plan S”. We might wonder what benefit there is in discussions if cOAlition S is immoveable on the 10 principles. And in the meantime, of course, researchers can expect to face a great deal of uncertainty. That said, at first blush, this might seem like a good approach. In fact, I have myself on a number of occasions argued that publishers should not be treated as stakeholders, but as service providers. As such, the research community should be telling them what services it would like them to provide, and then inviting them to quote for providing them. Only if the conditions and the price are acceptable should the research community then proceed to contract any particular publisher to provide the service tendered for. The problem with the way in which Plan S seems intent on doing this, however, is two-fold. First, regardless of the talk of (unspecified) APC caps, it is not clear how these can be effectively applied – particularly if the rest of the world does not follow Europe’s example. As a result, the research community may find it has to shell out even more money for publishers’ services, regardless of any caps. And what happens if publishers decide not to engage with Plan S in any meaningful way? Second (and more importantly), it could be argued that European funders are not part of the research community. They are its paymasters. And in the neoliberal environment in which universities now have to operate, researchers’ interests are not fully aligned with those of research funders. This means that in its battle with publishers, cOAlition S may end up punishing European researchers as, or more, brutally than it punishes the real target – publishers. Researchers will be the meat in the sandwich of Plan S, collateral damage in a war that the vast majority of them never signed up to, or wanted to see take place. There are also very real concerns that Plan S will wreak havoc on learned societies. It is for these reasons, I believe, that in opposing Plan S researchers often do so in terms of a threat to academic freedom. That OA advocates tend to ridicule and deride those who fret over academic freedom suggests to me that they have become so focused on the ends of OA that they are blind to the damage that the means might inflict on their peers, and on many societies. My answer is this: It doesn’t matter whether the terms Green or Gold are used. Principle 1 of Plan S states, “Authors [must] retain copyright of their publication with no restrictions. All publications must be published under an open license, preferably the Creative Commons Attribution Licence CC BY.” And cOAlition S insists that this applies to both gold and green OA, and in all cases OA must be immediate. It seems highly unlikely to me that for-profit legacy publishers will offer green OA on those terms. Instead, they will focus on gold OA and seek to extract as much money as possible from the research community, caps or no caps, even as many non-profit learned societies face an existential financial threat. Importantly, as Peter Suber has pointed out, there is no acknowledgement in Plan S that repositories can provide OA. This suggests they are seen as archival tools alone. The good news is that when I expressed my disappointment with his answers Smits said he would be happy to meet with me when he is in London next month. If that meeting takes place perhaps I will be able to get a clearer view of how Smits sees Plan S achieving its objectives, and why he routinely pooh-poohs any talk of academic freedom in relation to his initiative. RP: As I understand it, the background to Plan S is that during the Dutch Presidency of the Council of the European Union in 2016 the EU issued the Amsterdam Call for Action on Open Science. (At the time you were Director-General for Research and Innovation at the EU). This called for “immediate” open access to all scientific papers by 2020. But by the end of 2017 it was clear that this goal was not going to be achieved unless more drastic action was taken, not least because the Amsterdam Call offered no specific strategy for achieving OA by 2020. Earlier this year, therefore, you were appointed Special Adviser on Open Access and Innovation and charged with making sure it happened. Plan S is your solution and it consists of 10 principles, the key one being that “After 1 January 2020 scientific publications on the results from research funded by public grants provided by national and European research councils and funding bodies, must be published in compliant Open Access Journals or on compliant Open Access Platforms.” In fact, Plan S is a list of principles, not a detailed action plan. That is, it is not a mandate but what OA advocate Peter Suber describes as “a plan for a mandate”. I realise that some transition arrangements are envisaged, but how realistic is it to expect that in 15 months’ time all European research will be made immediately available on an OA basis, particularly if legacy publishers prove reluctant to co-operate in a meaningful way? R-J S: The 2016 Amsterdam Call set the 2020 target and, since little progress is being made, Plan S provides the specific strategy which you mention to achieve that target. However, Plan S cannot and will not override contracts which are in place before 1/1/20 and of course, we are willing to respect short-term transitional arrangements and on-going discussions on such arrangements. R-J S: We expect publishers to come forward with offerings which comply with the principles outlined in Plan S. We make no statement about whether publishers are ‘legacy’ or whether they are new providers with new platforms. RP: I assume you anticipated there would be pushback from publishers, but perhaps you did not expect pushback from researchers? Either way, we are seeing pushback. Last week, for instance, one of the leading open access advocates Stevan Harnad called for Plan S (and all OA policies) to drop any requirement for gold OA publishing and focus exclusively on mandating green OA (self-archiving). This would seem to envisage Plan S being reversed since it is currently almost exclusively focused on gold OA. Three days earlier, eight researchers published a highly-critical article about Plan S, denouncing it as unethical and too risky. I assume such criticism is of concern as I am told you called the lead author of the article Lynn Kamerlin and invited her to Brussels to discuss Plan S. How confident are you that you can address her and other researchers’ concerns? They clearly feel they are becoming the meat in the sandwich in the struggle between research funders and legacy publishers. And might we see resistance amongst researchers grow as the implications of Plan S are more widely publicised and become clearer? Combined with publisher resistance might this necessitate significantly watering down or even abandoning key Plan S principles? R-J S: You probably have seen the many positive reactions from researchers and representatives of the science community to Plan S. Of course, there are also critical voices. I have indeed invited Britt [J Britt Holbrook, one of the co-authors of the above paper] and Lynn for a meeting to see why it is we differ of opinion. In developing the implementation plans there will, of course, be discussion with all interested groups. We will, however, stand by the principles set out in Plan S.
RP: One of the concerns being expressed is that Plan S portrays green OA and repositories as having little more than an archival role, not as providers of OA. This is one of the concerns expressed by de facto leader of the OA movement Peter Suber, who has written of Plan S, “There's no acknowledgement of their [repositories and green OA] importance for OA itself! This is the same mistake made by the Finch Group in 2012, which was inexcusable even at the time, and should never be repeated by informed, high-level policy-makers.” I assume, however, that the reality is that green OA inevitably conflicts with the principles of Plan S, which calls, amongst other things, for papers to be made OA “immediately” and with a CC BY licence attached. I cannot envisage many legacy publishers agreeing to this. So I guess the point is that if green OA cannot conform to the principles of Plan S then it cannot be viewed as providing open access, and that is presumably why Plan S does not view it as such. Would that be right? If not, how can this circle be squared? R-J S: Plan S does not talk about Gold, Green, Diamond or Platinum Open Access. Plan S is entirely supportive of pre-prints and repositories and welcomes those journals where the final publication is published without paywalls and no embargo, being also published under a CC-BY or similar licence. RP: Another concern that has been raised is that Plan S is contrary to long-standing principles of academic freedom. For instance, since Plan S says that hybrid OA is not compliant with its principles European researchers will be banned from publishing in a great many journals that they currently publish in and love. As Nature put it, “as written, Plan S would bar researchers from publishing in 85% of journals, including influential titles such as Nature and Science.” This concern about academic freedom might seem a genuine grievance in light of a 1997 UNESCO document that states, “higher-education teaching personnel should be free to publish the results of research and scholarship in books, journals and databases of their own choice”. Concern about academic freedom is also being cited as one of the reasons why some countries (notably Germany) have not signed up to Plan S. Indeed, researchers at the University of Konstanz have taken their university to court for simply trying to mandate them to self-archive their papers in their institutional repository, which might seem far less of an imposition than telling them that they are henceforth barred from publishing in 85% of the journals they currently publish in. Some also argue that requiring researchers to publish their work with a CC BY licence attached raises issues of academic freedom. How do you respond to the claims that Plan S threatens to infringe researchers’ academic freedom? And how does Schiltz’s statement about freedom to choose fit with the principles of Plan S? Once again, how can this square be circled? R-J S: Strong mandates have been in place from many funders in different countries for many years so the principle of funder mandates in the research system is well-established. See what Peter Suber writes about this. It is for publishers to provide Plan S-compliant routes to publication in their journals so that researchers can choose where to publish when accepting funding from those who sign Plan S.
RP: Plan S also argues that current researcher evaluation systems need to be changed so that publishing in prestigious legacy journals is no longer encouraged. Might it not have been better to change evaluation systems before banning publication in subscription journals? Would this not have been fairer than suddenly telling them to stop publishing in 85% of the journals that their universities are still incentivising them to publish in, and have been doing for many decades? R-J S: The San Francisco Declaration on Research Assessment and the Leiden Manifesto both pre-date the Amsterdam Call for Action. There is nothing ‘suddenly’ happening. That during all years not much action was undertaken, is exactly the reason why Plan S was developed. RP: Another reason why some European countries appear to be dragging their heels over signing up to Plan S is that they assume it will increase the costs of publishing rather than reduce it. The DFG, for instance, says that “it surmises that open access mandates can lead to increased article processing charges (APC), an effect that the DFG strives to minimise.” I understand Plan S envisages APCs being capped, but what in your view is a reasonable APC? And how would a cap work in practice? (Presumably, for instance, universities and researchers could decide to themselves pay more than the cap in order to have their papers published, and indeed to publish them in expensive hybrid journals produced by Springer, Wiley, Taylor & Francis, and Elsevier?). R-J S: Caps on APCs will be considered as part of the implementation of Plan S. Publications arising from our funding must be Plan S-compliant. RP: Plan S says that it will support the creation of open access journals or platforms and open access infrastructures where necessary. Another concern raised by Suber is that this does not include a commitment to creating and supporting open infrastructure. I.e., he says, “platforms running on open-source software, under open standards, with open APIs for interoperability, preferably owned or hosted by non-profit organizations.” As such, Suber says, Plan S, will not prevent open infrastructure being appropriated by legacy publishers in the way that SSRN and bepress were acquired. As you will know, a number of funders (Wellcome, Gates etc.) have created their own publishing platforms but outsourced fulfilment to the for-profit company F1000. The F1000 platform, I believe, is a proprietary, and details of what it charges funders are secret, which does not seem to fit with the ethos of open science. The EU also plans to create its own publishing platform. I wonder, therefore, if the reference to platforms and OA infrastructures in Plan S is essentially a reference to the planned EU Open Research Publishing Platform? As I understand it, this will not necessarily be open source, and some believe that the exacting requirements specified in the tender document means that it could only be operated by a large legacy publisher or similar. Can you comment on these points? R-J S: Plan S sets out the principles for an open access funding system. It says nothing about the ownership of journals and platforms. It does not mention any particular platform. RP: Open access is a hugely complex topic. I believe you suggested to Kamerlin that in order to better understand the issues she should watch the movie Paywall. However, I wonder if the issues are more complicated than either Paywall or Plan S assumes? The movie, we could note, was made by an OA advocate, funded by an OA advocacy organisation, and consists of interviews primarily with other OA advocates. It includes interviews with just two legacy publishers. As such, as I pointed out in the review I did for Nature, Paywall is an advocacy film, not one intended to explore the complexities of open access. At no point, for instance, does the movie mention APCs or explain how OA can be funded. As such, it tells us what OA advocates want, but fails to explain how this can be achieved financially. The OA movement has a history of making declarations, issuing calls, and offering up what in the movie John Wilbanks calls “witness and testimony” but it has consistently failed to come up with financially feasible solutions. Is there a danger that Plan S has fallen into the same trap? R-J S: Plan S does not mention the Paywall movie. All of the parties involved in Plan S will have their own views about the publishing industry but Plan S states what we have collectively signed up to. RP: How likely do you think it is that all European countries will sign up to Plan S? Neither Germany nor Switzerland has yet done so, and researchers in Norway are asking whether the likely consequences of the proposed changes are proportionate to what can realistically be achieved in such a short period of time. Meanwhile, those European countries with limited research budgets will surely be unhappy to commit to paying for gold OA. I understand you also hope to get the US to buy into the Plan, which would seem to be an even greater challenge since the US has historically preferred green OA and it does not have the same centralised system as Europe. As Roger Schonfeld has put it, “[T]he higher education sector in most of North America is very different from Europe, in one key element: North America is as decentralized as Europe is, at a national level, centrally coordinated.” The challenge here surely is that Plan S can only achieve its objectives if the whole world signs up to it, or at least all those countries with large research budgets? Unless they do, for instance, Europe will find it is having to pay for gold OA plus continue to pay subscriptions in order to access the research produced in countries that do not sign up. Would you agree? How hopeful are you that you will manage to sign up a sufficient number of countries to make Plan S workable? R-J S: Why do you keep on saying that Plan S is about Gold Open Access? Do read the 10 principles again and you will notice that the plan does not use Gold or Green terminology. The plan welcomes self-archiving and repositories. I am confident that Plan S is workable. RP: On the other hand, if Plan S does succeed it will further marginalise and disadvantage those in the global South. If all the world’s subscription journals flipped to gold OA, for instance, where today researchers in the global South are not able to afford to access the world’s research, in future they would be unable to afford to publish their own research – which might seem a worse position to be in. Does Plan S have a solution to this problem? Will it provide money to enable those in the global South to publish their research? I am not aware that this issue is discussed in the various Plan S documents. R-J S: Getting rid of paywalls will help researchers in the global South to access publicly funded research without charge. This huge advantage cannot be denied. Furthermore, there are many routes to publishing research available to all countries including no-embargo open access. RP: It seems to me that one thing most people agree on today is that legacy publishers have become too powerful and have acquired indefensible monopoly powers. Is it not time to hand the matter over to the EU Commissioner for Competition Margrethe Vestager with a view to, say, breaking up these monsters? R-J S: I still am optimistic that through plan S, we can accelerate the transition to full and immediate Open Access in partnership, including in partnership with the publishers you are referring to. RP: I understand that on 1st March you will be moving on, to become President of TU-Eindhoven. Would it not be better to stay with the project until it is clear that it has been a success? R-J S: Plan S is carried by a consortium of funders under the umbrella of Science Europe. It is not the work of one person. Furthermore, I am far from being indispensable.